Formed out of Baldwin Township in 1904, this borough existed until it was annexed by Pittsburgh in 1927. It is named for Carrick-on-Suir, Ireland. 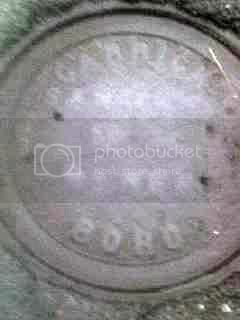 To this day, some of the manhole covers bear the Carrick Borough name. This one is located right in front of Carrick High School.